New York is the most perfect holiday destination, especially in autumn and winter when the weather is cold and romantic. There are many places and tourist destinations you can visit, and maybe you can reenact some scenes from your favorite movie in this city. New York is fun and exciting. But to make sure you can have the best holiday, you should not forget to choose the most comfortable New York Hotels for you to stay. Luckily, there are a lot of luxurious and iconic hotels in New York so you will have a lot of choices. Whether it is a 5 stars hotel where all the stars usually stay or a simple boutique hotel that offers warmth and privacy, spend the night in a comfortable hotel room will help you to prepare yourself for your adventure in the next day. New York is huge and you can find hotel in every corner. So, it can be very challenging to decide in which hotel you want to stay. To help you make the best decision, here are some things you need to consider when choosing a hotel in New York. Before considering anything else, it is best if you choose in which location you want to stay. This is important because it will determine the budget you need to spend for accommodation. It is always best to stay close to the destinations you want to visit since it can minimize transportation cost. If you prefer walking and want to save transportation cost, staying in hotel in center Manhattan is a very good choice. But if you plan to explore every corner of New York, you can basically stay anywhere. There are so many famous attractions around Manhattan and most of them are in walking distance. However, most of the hotels in this area are very luxurious and popular so plan your budget accordingly. If you want to stay in less crowded place, please avoid the Lower Manhattan in weekdays. This area is the business and financial center of Manhattan so unless it is weekend, it is always very crowded. If you prefer to stay in more affordable hotels, you can try going to the Upper West Side. The best thing about New York Hotels is they come with different concept and design. You can easily choose in which hotel you want to stay if you know what kind of experience you want to have in the hotel and certainly in New York. If you want to stay in a hotel that spells the utmost luxury with vintage style drapes, high ceilings and towering pillars, you should stay in Soho Grand Hotel. But if you want to enjoy a hotel with artistic style and gorgeous rooftop bar, CitizenM in New York Times Square will be your most favorite place. And once again, location matters. If you love shopping and plan to make several trips to 5th Avenue, it is best if you stay in East Side Manhattan. But if you want to experience a different side of New York, don’t stay in Manhattan and choose Brooklyn or New Jersey instead. Last but not least, don’t forget to find out what kind of service the hotel can offer to you. If you go to New York for family holiday, it is best if you book suite room because most New York hotels don’t provide standard room for family. Don’t settle with less than excellent service even if you want to save money. If your budget is limited, it is best if you find hotels outside Midtown Manhattan where you can get more affordable hotel without sacrificing the features and amenities you will get from that hotel. Now that you know what you should consider when you are looking for a hotel in New York, it is time to find great hotels for you to stay. Here are some of the most recommended hotel that will make your holiday in New York more interesting and memorable. This is one of the historical hotels in New York and it was built more than a century ago. One of the best things about this hotel is definitely the fact that this is only 6 minutes away from New York’s all-time favorite, The Central Park. This is a very luxurious hotel which is very famous for its designer themed suits, Dior, Bentley and Tiffany. In these suits, you can feel like a Parisian even though you are actually in New York. You definitely will experience the utmost luxury with a personal butler who is always happy to cater your needs during your stay. This 273 rooms luxurious hotel is located in Madison Square Park and you can easily go places from this location. The look in this hotel is very classic and elegant with combination of oak floor and panel all around the room. All the rooms give the guests remarkable privacy so the guests can enjoy the time in the room comfortably. Every room is also equipped with floor to ceiling windows that will let the guests to enjoy the breathtaking views of New York City. So what are you waiting for? Go book the New York hotels of your choice right now because holiday season is coming soon. 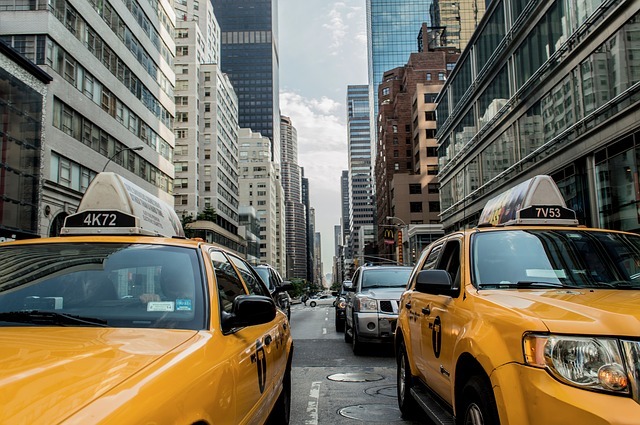 New York is always very popular during holiday so make sure you won’t miss a spot in your favorite hotel. The best tourist attractions when you visit New York among which are Soho Square, Century21 Department Store, Penn Station, St Patrick’s Cathedral, Brooklyn Botanical Gardens, New York Stock Exchange, Rockefeller Center, Carnegie Hall, Grand Central Station, Coney Island, The Highline Park, Kostyk Field, The Egg Center for the Performing Arts, Metropolitan Museum of Art, Longaberger Building, Bloomingdales, Cooper-Hewitt, National Design Museum, Macy’s, Wall Street, Metropolitan Pavilion, Washington Street Armory, South Street Seaport, Woodbury Common Premium Outlets, Museum of Jewish Heritage, United Nations Headquarters, Albany Institute of History Art, Museum of Modern Art, Prudential Center, Columbus Circle, Albany City Hall, Radio City Music Hall, Ground Zero, Brooklyn Bridge, New Jersey Performing Arts Center, Henry Hudson Planetarium, Broadway Theatre, Little Italy, Dry Hill Ski Area, Statue of Liberty, The Cloisters, Classical Chinese Garden, Red Hook, Columbia University, Herald Square, 34th Street Penn Station, New York State Zoo, New York Public Library, Jacob K. Javits Convention Center, World Financial Center, Central Park, University of Albany-SUNY, Ground Zero Museum Workshop, 42nd Street Port Authority Bus Terminal, Madison Square Garden, Greenwich Village, Madison Square Park, Flushing Meadows, Palace Theater, Lincoln Center, Grand Central – 42nd Street, Chelsea Piers, Tennis Courts, Trinity Church, Corning Tower, American Museum of Natural History, Empire State Plaza Convention Center, Chrysler Building, Pace University, New York Aquarium, Empire State Building, Capitol Building, Rockefeller Empire State Plaza, Barclays Center, Yankee Stadium, New York Aquarium, Ellis Island, Times Union Center, Times Square, Bond St Gallery, 34th Street Penn Station Broadway Seventh Avenue Line, Washington Park, One World Trade Center, Best Buy Theatre, Brooklyn Public Library, Battery Park, Cathedral Church Of St John The Divine, Michigan International Speedway, 34th Street Herald Square, 42nd Street – Bryant Park, Penn Plaza Pavilion, Top of the Rock, New York State Capitol, Coney Island Cyclone Roller Coaster, The Cultural Education Center, National September 11 Memorial & Museum, Washington Square Park, Bronx Zoo, and Bryant Park. Aside from the three best hotels for a holiday in New York above, there are also many hotels that provide good service with a strategic location but still offers attractive room rates. We provide a list of suitable hotel to be visited when you visit new york below. – Caprice Motel – Wildwood address : 4200 Ocean Ave.
– Microtel Inn & Suites Bath address : 370 West Morris St.
– Quality Inn & Suites Downtown address : 454 James St.
– Quebec Motel address : 3811 Atlantic Ave.
– Quality Inn Lockport address : 551 South Transit St.
– Red Roof Inn Edison address : 860 New Durham Road. – Avon Manor House at 322 address : 322 Sylvania Ave.
– Reges Oceanfront Resort address : 9201 Atlantic Ave.
– Sheraton Atlantic City Convention Center address : Two Convention Blvd. – Comfort Inn Rochester – Greece address : 1501 W. Ridge Rd. – The Terrapin Inn address : 795 Rainbow Blvd. – Quality Inn Meadowlands address : 10 Polito Ave.
– Dharma Home Suites JC at Grove Station address : 109 Christopher Columbus Dr.
– Comfort Inn Carrier Circle address : 6491 Thompson Rd. – Bayview Inn and Suites Atlantic City address : 1630 N. Albany Ave.
– Golden Arrow Lakeside Resort address : 2559 Main St.
– Boulevard Motel address : 116 Roosevelt Blvd. – Hotel Executive Suites address : 30 Minue St.
– The Colonial Inn & Motel address : 701 North Franklin Sreet. – Econo Lodge Buffalo South address : 4344 Milestrip Rd. – Quality Inn Edison address : 21 Cortlandt Street. – Extended Stay America – Edison – Raritan Center address : 1 Fieldcrest Avenue. – Econo Lodge Malone address : 227 W. Main St.
– Econo Lodge Somers Point address : 21 McArthur Blvd. – Quality Inn Massena address : 10 West Orvis St.
– Comfort Inn & Suites Hawthorne address : 20 Saw Mill River Rd. – Country Inn & Suites Horseheads address : 105 E. Mall Rd. – Hotel Giraffe address : 365 Park Avenue South At 26th St.
– Rodeway Inn & Suites address : 102 Tuckahoe Rd. New York is the best place to vacation, especially when in the winter. Typical Christmas and New Year of modern urban Americans Atmosphere very festive and unforgettable. It is time you are planning a winter vacation in the Big Apple now.